Clients include MIKASA, Pfaltzgraff, The Home Depot, GlaxoSmithKline, Advair, Lantus, Diageo, Nikon, Kraft and Cannon. Services include the Art Direction, Design and Implementation of Interactive Websites, Print, Identity, and Logo design. 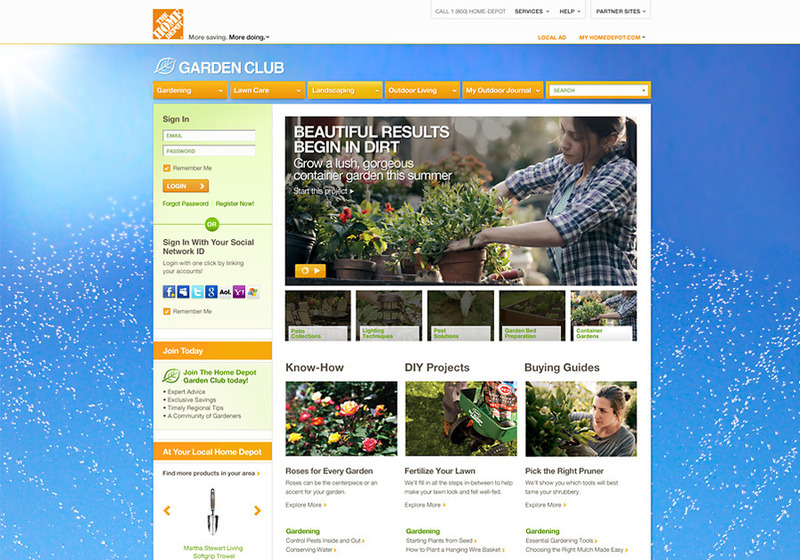 Screenshot for The Home Depot Garden Club. Interactive site works with social media and users location to customize content and background image. Virtual Garden tags, Social Media integration and regionalized content continue repeat usage of the site.